Report the injury to the employer, verbally and in writing, immediately and ideally within 30 days. You or your attorney will need to fill out a Form 18 to be submitted to the N.C. Industrial Commission (NCIC). It is best if this form is filled out by your attorney representing you in your workers’ compensation claim. The employer or its insurance company, subject to any NCIC orders, provides and directs medical treatment. The Commission may approve a change of physician on certain grounds, but changes to the state’s workers’ compensation law have made it more difficult to switch doctors. The employer and workers’ comp insurance carrier may not pay for treatment unless you have prior, written approval from the employer, insurance company or Industrial Commission to change doctors. What should I do if my employer doesn’t acknowledge my injury or doesn’t send me to a doctor for treatment? Seek medical treatment immediately. Don’t delay in seeing a doctor, no matter the advice of your employer or coworkers. If you don’t have health insurance, go to the hospital or a clinic. Don’t delay getting medical treatment because you’re worried about how your doctor’s bills will be paid. Those are issues that can be sorted out later in your workers’ compensation claim with the help of an attorney. Medical bills cannot go into collections during a workers’ compensation claim. If your employer doesn’t acknowledge that you were hurt on the job, please contact an attorney immediately. What are the rules for chiropractic treatment? If the authorized treating physician orders chiropractic care and the insurance company approves it, an employee is entitled to 20 chiropractic visits. If additional visits are needed, the chiropractor should request this authorization from the NCIC. Chiropractic treatment is not ideal in a workers’ compensation claim. It is preferable to seek treatment from a medical specialist. Do I have to go to the doctor where the insurance company sends me? You do have the right to ask the Industrial Commission for permission to see a doctor of your choosing. The rules for changing doctors are very strict, and it’s best to have an attorney advise you and help you in filing this request. If you are treated by another doctor without first getting permission, you may jeopardize your benefits. You should seek legal assistance or contact the Industrial Commission if you have a question about changing doctors or getting a second opinion. No workers’ compensation for lost wages is due for the first seven days of lost time, unless the lost time exceeds 21 days. Therefore, the first check will not include payment for days 1-7. Payment for those days will be made should the time out of work continue beyond 21 days. At what rate of pay are wage compensations made? Two-thirds (or 66.6 percent) of the average weekly wage, not to exceed a maximum, calculated based on the year you were injured. This number is known as the maximum comp rate. It is $904 for 2014 and $920 for 2015. Until the employee is able to return to work or until further order of the N.C. Industrial Commission. Are travel costs, such as mileage, to doctor’s appointment reimbursed? Employees are entitled to collect for mileage for medical treatment in workers’ compensation cases provided you travel 20 miles or more roundtrip. Special consideration is given to employees who are totally disabled. Reimbursement is only available for approved medical appointments, and mileage is calculated using mapping software. Do I get compensation for pain and suffering? Workers’ Compensation does not compensate for pain and suffering, only loss of wages as determined by the Industrial Commission, and for medical treatment. Permanent partial loss of use of a body part or temporary inability to earn the same wages in any employment as earned at the time of the injury. 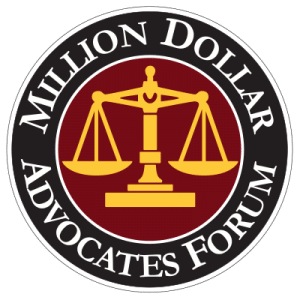 The N.C. Industrial Commission and the N.C. General Assembly by statute determine partial disability based on the impairment ratings of physicians, or evidence of loss of wage earning capacity. Any employer who regularly employs three or more employees whether part-time or full-time. The definition of “employees” includes executives or officers of the company. In addition, any company in which one or more employees are employed in activities that involve the use of or presence of radiation is required to have coverage. What happens when the employer refuses to acknowledge a workers’ compensation claim? When liability for payment of compensation is denied, the N.C. Industrial commission, the injured worker, his or her attorney, if any, and all known providers of health care shall be promptly notified of the reason for the denial. The denial must detail the exact reason for the denial of liability. If a claim is denied by the insurance company or self-insurer, the employee may request a hearing before the Industrial Commission. Medical providers may bill the employee only after it has finally been determined that there is not a compensable workers’ compensation claim. Who is my employers workers’ compensation insurance carrier? Contact the N.C. Industrial Commission Statistics department at (919) 807-2506 to find out about your employers’ workers’ compensation insurance coverage. Any part of your case has been denied. You are not receiving medical treatment. You are out of work without any income. You have an accepted claim but are unable to return to your previous work position. You are dissatisfied with your current medical treatment. You have been released to return to work but do not feel capable of doing so. You have a significant injury claim that will result in a permanent disability. What kind of attorney do I need? How do I choose an attorney? Many attorneys say they handle workers’ compensation cases when, in fact, they do not have the experience, or the knowledge, to help you navigate through this complicated process. Look for an attorney whose primary focus is workers’ compensation and who regularly handles these kinds of cases, as we do at the Deuterman Law Group. 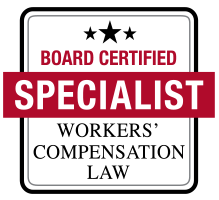 We suggest you choose an attorney who is a board certified specialist in workers’ compensation law by the N.C. Board of Legal Specialization. Make sure you receive the best medical treatment possible. Make sure your weekly checks are on time and that you are receiving the correct amount of money every week. Ensure you are receiving all benefits to which you are entitled. Advise you on options regarding returning to work, and/or dealing with restrictions and your employer. How is my workers’ compensation claim settled? Clincher Agreement: A clincher is a compromise settlement agreement. Once you’ve signed this agreement, you give up all rights to future workers’ compensation benefits for the particular injury in exchange for a sum of money. Forms 21 and 26: If you sign one of these forms, your workers’ compensation case may remain open but you will be giving up certain rights and the rights you retain will be limited in time. An experienced attorney can help you decide whether you are making a decision that is best for you. a third party, a mediator, selected by agreement of the plaintiff (employee) and defendant (employer and insurance company), who comes to the conference to hear both parties’ versions of the case, and then tries to help the parties reach a compromise on the matter. In mediation, the mediator then goes back and forth between the parties carrying offers and demands, as well as facilitating discussion on the issues in the case, discussing the applicable case law, etc. If the parties are able to reach an agreement, then a Memorandum of Settlement is signed and the case is officially settled. 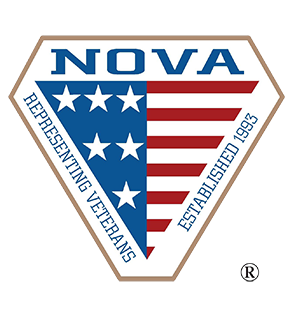 If the parties do not reach an agreement then, assuming there remain contested issues, the case moves on to a hearing in front of a deputy commissioner of the North Carolina Industrial Commission. How does workers’ compensation affect my Social Security benefits? 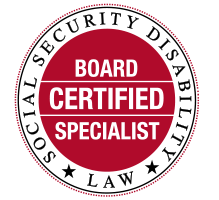 If you are receiving Social Security benefits, long-term disability benefits or some other type of compensation for your disability, there may be an offset or reduction in your benefits if you also receive workers’ compensation benefits. It is important that you see an attorney to make sure that you are receiving the full benefits to which you are entitled. Parties have 60 additional days to take any medical doctor (expert) depositions, followed by another 30 days to draft contentions and submit a proposed opinion and award. Contentions drafted by the parties are written closing arguments on the case, which discuss case facts, case law and present arguments on behalf of their client. A proposed opinion and award that each party drafts, discloses what the party feels the deputy commissioner should find as Findings of Fact in the case, legal conclusions and what the award should be in the matter. The deputy commissioner reviews both parties’ submissions, and then enters an Order of the Court, ruling on the matter. The biggest difference between mediations and hearings lies in who has control over the result of the case. At mediation, the parties each have input and a degree of control over the result in the case whereas at a hearing, the judge makes the sole determination of the outcome.